The Christian Atheist speaks directly to those who believe in God but live as if he doesn’t exist to inspire them into a deeper Christ-filled life. If you could sum up The Christian Atheist in three words, what would they be? Craig G. illustrates examples from his own life over and over again, making this a very practical book, as well as extremely challenging. What does Tom Schiff bring to the story that you wouldn’t experience if you just read the book? Vocal narration served to bring home many points that I would have missed or simply ignored when presented in cold print. 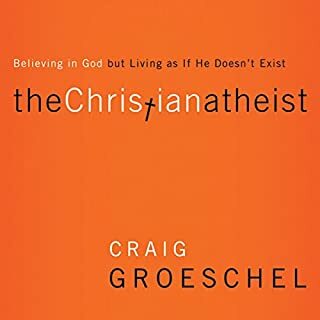 Painting the "real" Christians as being "recovering atheists" didn't make sense to me at first,but then I began to see what the author was driving at and calling for. Definitely worth the time and effort, both in listening and in application. King Caspian Says: Buy this Book! What did you love best about Atlas Shrugged? This book redefined excellence for me. I recognize as a Christian minister that I am "not supposed to like it" since it was written by a firm atheist. But it is one of the most anti-socialist, pro-individual and pro-creativity books I have ever seen. 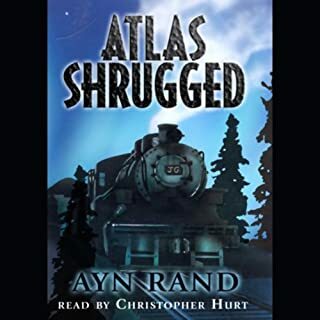 What was one of the most memorable moments of Atlas Shrugged? This book is so long that there are too many to mention. Which character – as performed by Christopher Hurt – was your favorite? If you could rename Atlas Shrugged, what would you call it? To Find The Best Within Us. Fair warning: this is NOT a book for children! Strong adult themes and rabid atheism, as well as twisted politics and twisted history. Rated R for RESTRICTED. Stephen Brust Does It Again! 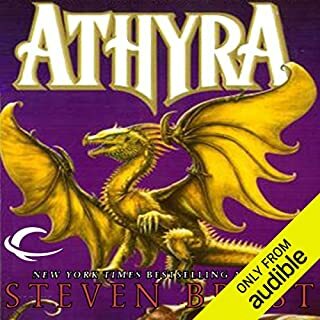 Where does Athyra rank among all the audiobooks you’ve listened to so far? Vlad Taltos. I never expected to become sympathetic to an assassin, but the character is very finely drawn. What does Bernard Setaro Clark bring to the story that you wouldn’t experience if you just read the book? Mr. Clark was the perfect choice for this series. 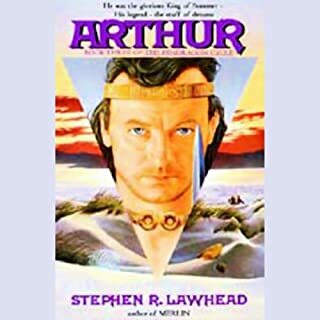 I enjoyed his narration for the same reasons I enjoy all audio books, because reading in silence is simply a different (and sometimes a lesser) sensory experience. 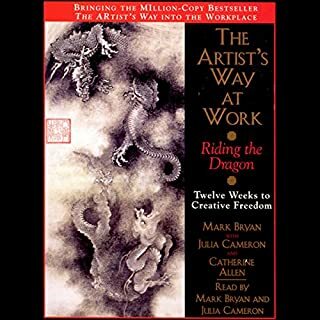 I would definitely recommend this audio book to a friend. The story values have held up for more than 6 decades. What other book might you compare Assignment in Eternity to and why? 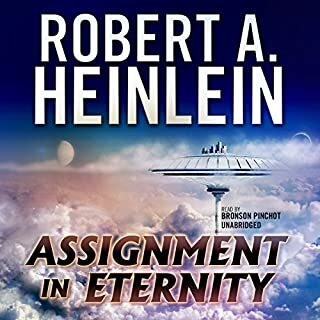 Heinlien is a Grand Master because his work stands alone. It can only be "compared" to itself. I have not listened to any other of Bronson Pinchot's performances. I am looking forward to more of them. You will want to stop the presentation several times in order to take notes. There is very little actual "story" here but the material is creatively powerful. The way this book was presented grew repetitive. I would have changed the editing to make the book shorter. What aspect of Lorna Raver and Ray Porter ’s performance would you have changed? I am not sure how I would have changed the actual performance. 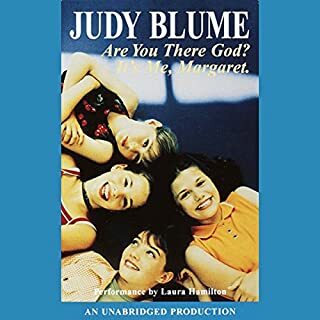 Would you consider the audio edition of Are You There God? It's Me, Margaret to be better than the print version? 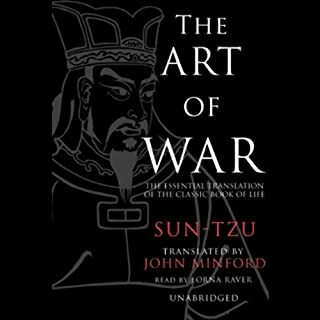 I know I would not read the print version, but I do really enjoy the audio book. What other book might you compare Are You There God? It's Me, Margaret to and why? The story is a classic in the sense of feeling "important," like the Anne of Green Gables series. Does God play hide & seek? In an attempt to win the heart of her king and a nightly stay of execution, the beautiful and wise Scheherazade spares her life and enchants her husband with exotic tales of jinn, magic lamps, daring heroics and true love. 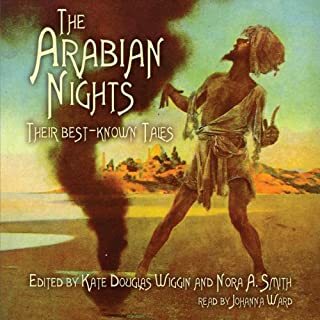 First dated as early as the 9th century, this collection of stories-within-a-story, also called The Thousand and One Nights, is colorfully narrated and will charm listeners with the classic tales of Aladdin, Ali Baba, Sinbad and more. I definitely recommend this book for any member of the family. 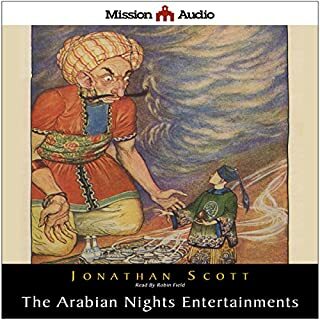 What other book might you compare The Arabian Nights Entertainment to and why? This is actually my favorite version of the work because the effects and voices are simply handled better. What about Robin Field’s performance did you like? Robin Field displays an amazing vocal range. 1001 Nights of Mystery and Magic!